We get one of a very chances to see Utah play on national TV. After a great start to the season they were pummeled last week by TCU. Now they get to face off against a down Notre Dame team looking to rebound at home against a ranked opponent. 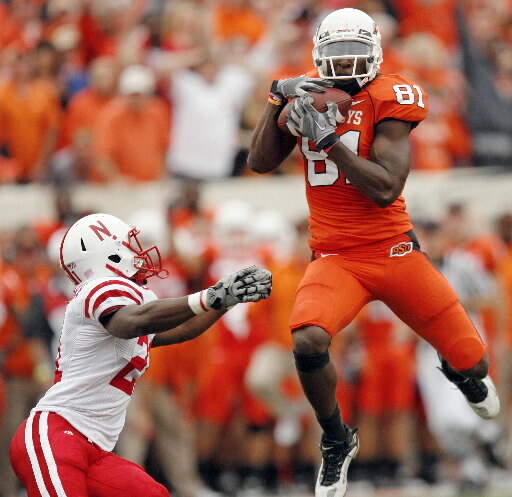 Can 26 year old QB Dan Weeden and WR sensation Justin Blackmon go into Texas and come out with a win? Even though Texas isn't their old national title contending self this year they are always a tough Big-12 opponent for anyone. How can you not watch this game? Both teams are playing great this year except for the extra bye week the Pats took last week in a huge loss to the Browns. It's a classic clash of two of the best AFC teams of the last decade being played out in Prime Time Sunday night. A week after Mike Vick defeats Peyton Manning he gets to lead the Eagles into the Nations Capital to face his predecessor in Philadelphia. Donovan McNabb will be looking for revenge against all the media and long time critics after taking some serious heat before the Redskins bye when he was benched by Coach Shannahan for lack of cardiovascular conditioning and a lack of understanding a 2 minute offense. Ouch. Why The Outrage about Cam Newton?